This business process outsourcing company (BPO) contracts with home-based technical support agents and customer service reps. The company hires independent contractors on a temporary basis. 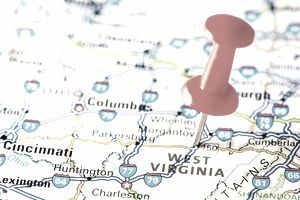 Online retailers have home-based customer service employment positions based out of West Virginia. Mostly it hires on a seasonal basis in the fall for the holiday season. Search "work from home" in Amazon's job database. Jobs pay $10-12/hour. Apple at Home is a work at home call center program that hires both college students and non-students. Like Amazon, its hiring time is for the holidays. Use the keyword "home" in the company’s job database. Extended warranty company (formerly known as NEW Corp) pays home-based customer care reps $9-10 per hour to take inbound calls. It hires both work-at-home and office-based call center agents to troubleshoot and provide customer service for its clients. Hires agents bilingual in Spanish/English also. The company hires as independent contractors home-based phone agents (including licensed insurance agents) for a variety of call center jobs for its clients including outbound sales, bilingual customer service (Spanish and French) and financial services. Agents are paid at a rate that is based on minutes of talk time plus sales incentives in some cases. Agents must become "certified" to work for individual clients. This certification is not paid. And applicants must pay $50 for a background check. Global business process outsourcing (BPO) company hires part-time employees In some U.S. states, including West Virginia, to work from home as call agents and other fields. Bilingual call center agents needed. Benefits include paid training, 401k. Pay is $9-10/hour. Work at home independent contractors uses a predictive dialer system to make verification calls for the company's clients, which are primarily from the newspaper industry.